The greatest album by the greatest band. A little bit tough to rank because I group some of the songs together. Definitely the only album with this many songs in my top 2,000. The best album from the greatest band of all time. This was very hard to rank, as there is really not a bad song here. Sort of hard to separate the parts of a suite. I've sometimes thought about taking Abbey Road out of my top 100, but it hasn't happened yet. "One two three four five six seven, all good children go to Heaven"
Live in Phoenix wrote: I've sometimes thought about taking Abbey Road out of my top 100, but it hasn't happened yet. You really shouldn't. It's the bomb. I'll get to this at some point. It's my favorite album from The Beatles. 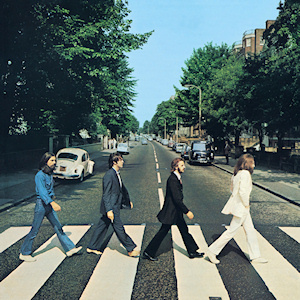 Kinda strange to put something as short as Golden Slumbers that high in such a great album, but that is a beautiful, earnest and touching track. Genius tracks and... this meddley. bootsy wrote: I'll get to this at some point. It's my favorite album from The Beatles.